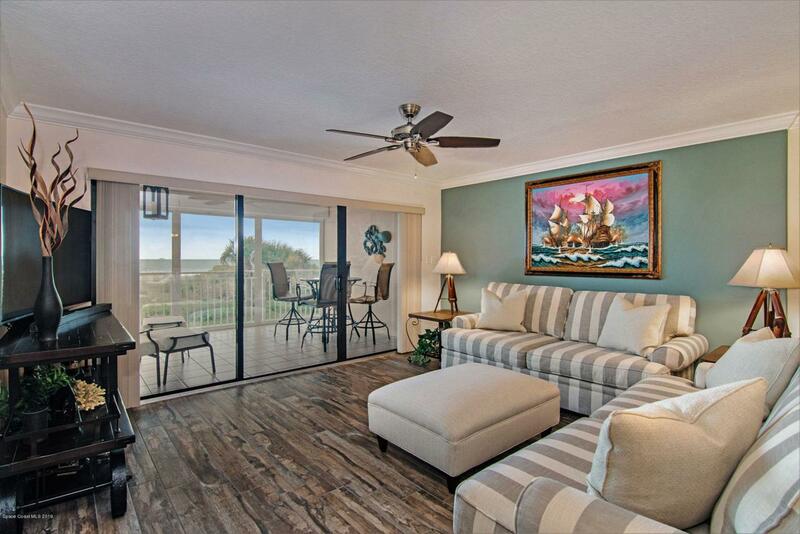 FULLY FURNISHED DIRECT OCEAN top-of-the-line unit remodeled in 2015! 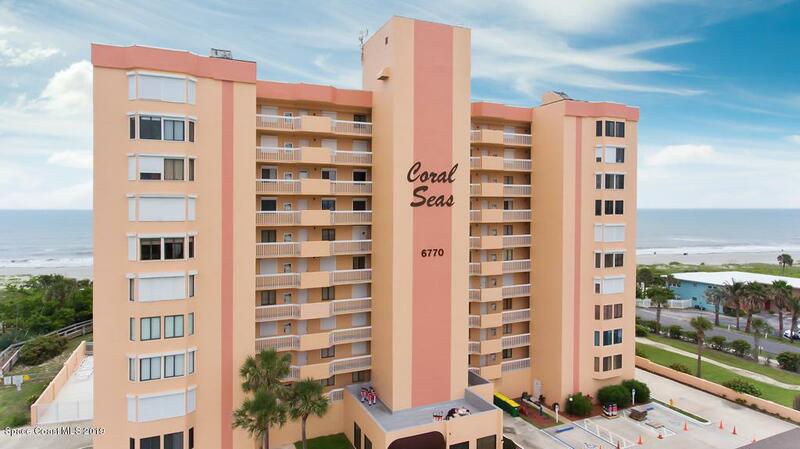 Watch the cruise ships & listen to the ocean waves from your spacious balcony. 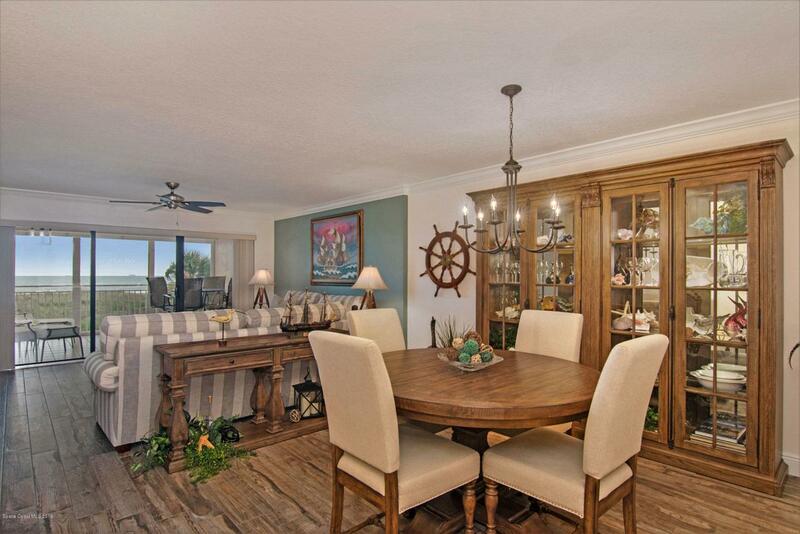 Nice touches like Italian driftwood porcelain flooring, crown molding, updated lighting, fixtures & hardware throughout. Kitchen features maple wood & glass soft-close cabinets, full-size pantry, pull-out shelving, dimmable recessed lighting, stone back-splash, quartz counters, granite composite sink & Stainless appliances. Flex space in kitchen has pocket doors for privacy. Updated laundry room w/built in cabinetry. Master features his & hers closets w/wood custom shelving. Bath has tranquil spa-like feel with dual sinks, quartz counters, jetted tub & shower w/river rock accents. Hurricane shutters have battery backup. See Feature Sheet. Listing provided courtesy of Florida Lifestyle Realty Llc. © 2019 Space Coast Association of REALTORS®, Inc. 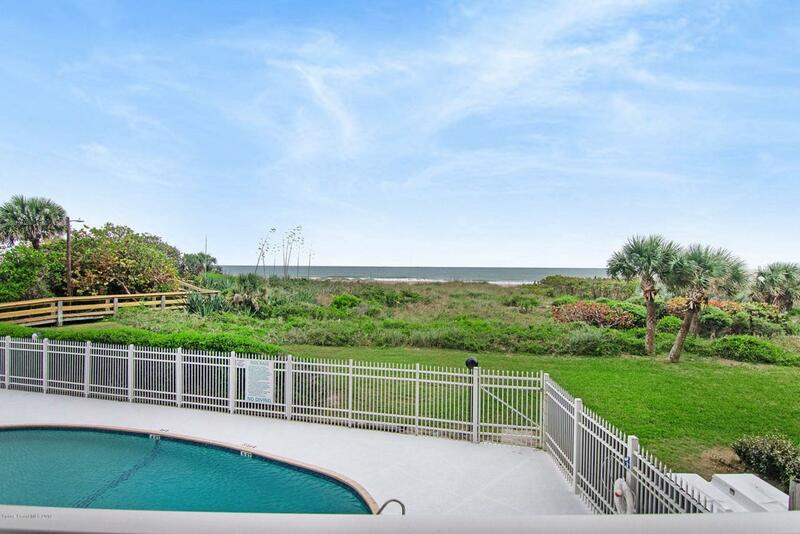 The data relating to real estate for sale or lease on this web site comes in part from the Brevard County Broker Reciprocity Database. Real estate listings held by brokerage firms other than Platinum Group / Keller Williams Realty are marked with the IDX logo and detailed information about them includes the name of the listing broker. Information is deemed reliable but is not guaranteed accurate by the MLS or Platinum Group / Keller Williams Realty.IDX information is provided exclusively for consumers' personal, non-commercial use and may not be used for any purpose other than to identify prospective properties consumers may be interested in purchasing. Data last updated: 2019-04-22T07:09:35.067.